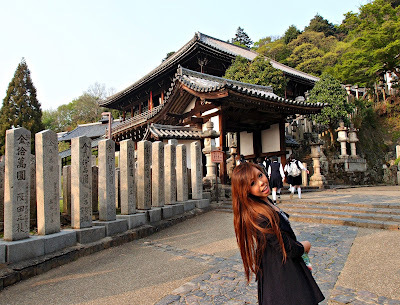 Kasuga Taisha, is a Shinto shrine in the city of Nara, within the compounds of Nara Park. Established in 768 AD and rebuilt several times over the centuries, it is the shrine of the Fujiwara family. The interior is famous for its many bronze lanterns, as well as the many stone lanterns that lead you up to the shrine. For Part 1 of this post, please feel free to click this Link! Originally the royal shrine of the powerful Fujiwara family, Kasuga Taisha was founded by the Fujiwara family. According to Shinto concepts of purity, was torn down and rebuilt every 20 years in its original form until the year 1863. Since virtually all empresses hailed from the Fujiwara family, Kasuga Taish enjoyed a privileged status with the imperial family. In the later half of the Heian period, Kasuga Shrine was united with Kofuku-ji under the new theology of Kami-Buddha Fusion. Looks like we’ve had a wonderful day! This interfaith alliance lasted until the Meiji restoration (1868-1912), when the government established Shinto as the state religion and ordered the separation of Buddhism and Shinto. Kasuga Taisha, and the Kasugayama Primeval Forest surrounding it, are registered as a UNESCO World Heritage Site as part of the “Historic Monuments of Ancient Nara”. The path to Kasuga Shrine passes through Nara Park. A stroll through Nara Park from Todaiji leads to one of the best Shinto shrines in the Kansai region, the Kasuga Taisha. In Nara Park, Deer are able to roam freely and are believed to be sacred messengers of the Shinto gods that inhabit the shrine and surrounding mountainous terrain. 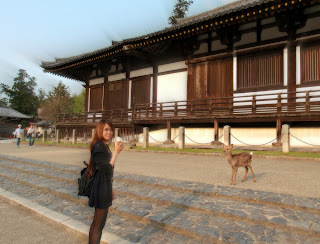 Kasuga Taisha and the deer have always been featured in several paintings and other works of art. Nestled in the midst of verdant woods, Kasuga Taisha is approached via a long pathway intended to give the visitor time to prepare for worship. The natural setting is a purposeful part of the sacred site, since Shinto is rooted in nature. The main entrance to the shrine is through the Minamimon – South Gate; and past the Temizuya – Water Fountain Basin, where it is customary to wash your hands before entering. You’ll really like the scenic views you’ll get of Nara, from Kasuga Taisha. 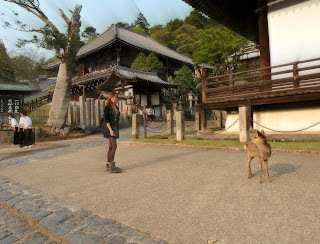 Great views of Nara can be had here! The shrine itself features vermilion-colored pillars and an astounding 3,000 stone and bronze lanterns. They were donated over the years by common people as tokens of faith and thankfulness, and used to be lit every night. Kasuga Taisha Shrine is also known for the lovely wisteria in its botanical gardens, some of which is hundreds of years old. The wisteria flower is significant to this shrine because “Fujiwara” can be read as “Fields of Wisteria”. The shrine maidens wear wisteria in their hair. Here, too, you can pay ¥200 for an omikuji, a slip of paper on which your fortune is written in various languages. If the fortune is unfavorable, you can negate it by tying the piece of paper to the twig of a tree. There is an admission charge to the inner grounds which gets you a closer view of the bronze lanterns and the worship hall. The main buildings of the shrine are the Haiden (Worship Hall), Heiden (Offering Hall), and Honden (Main Hall, which houses the Kami). The Ten thousand Manyo Botanical Gardens. Located a short walk from the Kasuga Shrine main complex is the Kasuga Taisha Shinen Manyo Botanical Garden. This garden displays about 250 kinds of plants described in the Manyoshu, Japan’s oldest collection of poems which dates to the start of the Nara Period. A large part of the garden is dedicated to Wisteria flowers which usually bloom from late April to early May. The most spectacular time to visit Kasuga Taisha is when all 3,000 of the shrine’s lanterns are lit at all at once. This happens only a few days each year, during the festivals of Setsubun Mantoro: February 2-3-4 and during the Obon Mantoro: August 14-15). Deer on the grounds of The Ten thousand Manyo Botanical Gardens! Don’t worry, they’re really peace lovin’ creatures!! Anyway, here’re more pictures of the The Ten thousand Manyo Botanical Gardens! Very peaceful, I like it here. Ice Cream for a deAr? I’m not kidding! 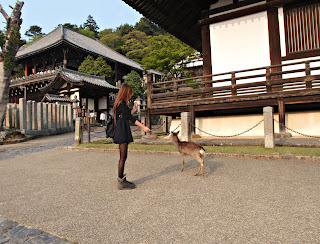 The cute deer in Nara are allowed to roam freely! Gango-ji is an ancient Buddhist Temple, that is also in Nara. 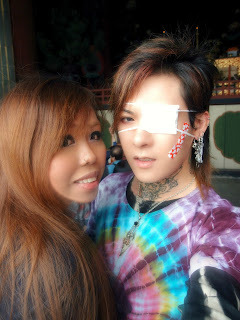 Check out our previous visits to Gango-ji in the Link below! 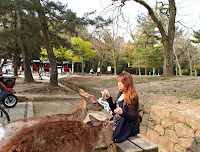 The deer are really well behaved too! The Manyoshu includes a poem attributed by a monk of the Gango-ji Temple. This poet laments that, upon having attained enlightenment, his greater understanding yet remains unnoticed by others in the streets of Nara. His poem may perhaps bemoans his undervalued condition and yet, in a modest way. – A White gem unknown of men. – Be it so if no one knows! -Since I myself know it’s worth, although no other. -Be it so if no one knows! This is Binzuru, many people claim the statue of him looks scary! But in actual fact, he is reputed to heal any ailment you might unfortunately have. In Japan, Binzuru is arguably the most popular of all the Arhats. The monastery refectory near Todaiji Temple in Nara has a large wooden statue of Binzuru, depicting him seated in the lotus position. Statues of him are usually well worn, since the faithful follow the custom of rubbing a part of the effigy corresponding to the sick parts of their bodies, as he is reputed to have the gift of healing. He is also very frequently offered red and white bibs and children’s caps to watch over the health of babies, so that his statue is often decked in rags. He is represented in painting as an old man seated on a rock, holding an ornament / artefact of some kind. 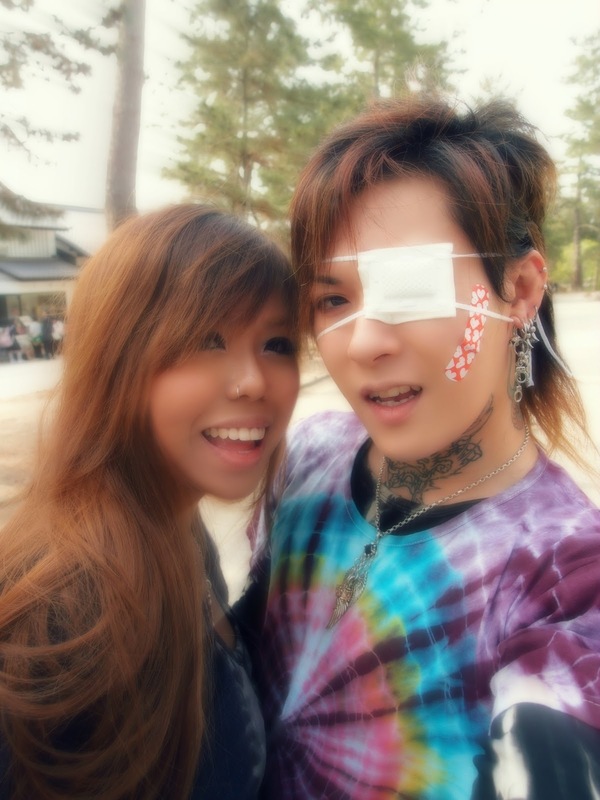 All the other Arahants are usually worshiped in Japan in his person. I would be motivated and be more than glad to do something like this – in future! I know it’s a really long post, thank you for reading & I really do hope you’ve enjoyed reading! Thankyou so much for taking the time to stop by!! Note: The pictures in this post may or may not necessarily match the contents depicted. 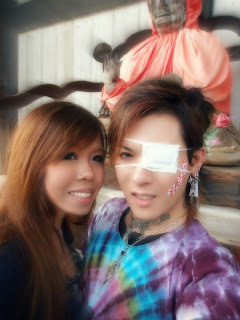 Amazing post as usual Hideki! I always learn new things from your posts and it makes me want to visit more. Normally I am not a tourist sort of person and don’t like to go to things like this, but I think I want to check this out, especially on a day when they light the lanterns. 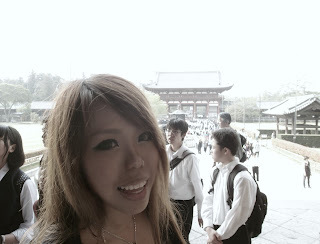 It’s nice learning the history and cultural pieces too like washing your hands before entering the shrine. 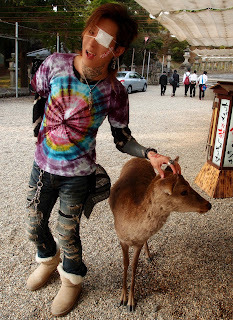 The deer are sooooo cute! Do they expect to be fed? Or can you not feed them? 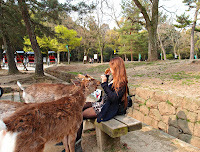 Kekeke…I am surprised you can pet them 😀 I think Japan is probably calmer than America so people wouldn’t harass the deer. Loved reading this =) thanks! 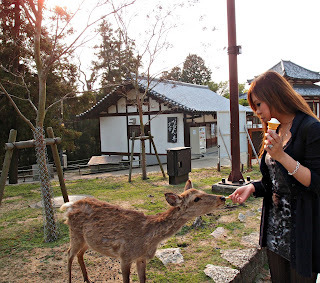 Well…The deer would probably love being fed, but you can choose not to feed them too! XJ81D5 wonderful post, very informative. I wonder why the other specialists of this sector do not notice this. You should continue your writing. I am sure, you’ve a huge readers’ base already!